Before I even begin today, I have to share that during the editing process of this week’s blog, my American version of autocorrect, underlined the word colour 57 times. My insistence of using the Canadian spelling of color was causing great consternation with my moody, schizophrenic spellcheck system. This continual linguistic interruption challenged my questionable sense of humour… sorry autocorrect, humor here! There was a time when every movie your grandparents went to see at their local movie house was projected in black and white. Often these movies were “Two Reelers”, meaning that the guy up in the projection room forced the audience to wait for five minutes, half way through their viewing of a Jimmy Cagney movie, as he skillfully replaced reel one of the movie with reel two. That was the real experience in the days of multiple reels. Steely Dan may have suggested Reeling in the Years, but my grandparents insisted in only took a few minutes. Your grandparents inhabited a much more patient planet, which may explain their tolerance of you when you were three, as they applauded your badly drawn pictures outside the lines of your colouring book. To support this fact of a mainly black and white world, I challenge any of you to find a colour picture of your ancestors. 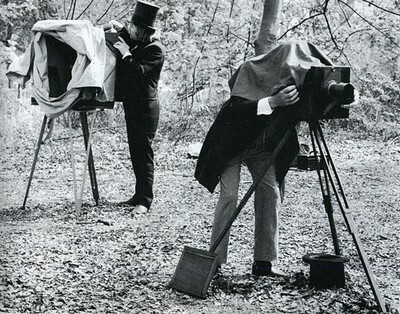 Artists in the old days did paint in colour as black and white pallettes were highly overpriced, but those photographers were only allowed to take uncoloured photos. This was such an embarrassing moment for these photographers, they literally hid under a cloth to hide their red faced humiliation during a photo shoot. My comprehension of the transference of a black and white world to a colour one is rather vague as you will see. I clearly was not a history major at school. Let the demonstration of ignorance begin with recent history. I am not sure if the original IPhones only transmitted black and white photographs, as I am still in the process of uncovering the extensive features on my 20 year old flip phone. 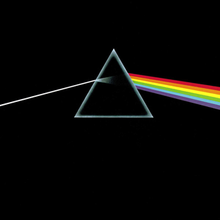 My slight understanding of history shows that the original rainbows only had two colours, black and white, until Pink Floyd launched their album, Dark Side of the Moon in 1973. The album cover showed the grainy old world, that colours were available, if you just looked a little closer. Now the invention of colour made grade school science classes much more interesting. Every teacher was required to purchase prisms, as part of the class budget for tools of learning for their class. This intrusion on the class budget diminished the purchases of quills and ink wells as necessary instruments for learning. In fairness the invention of the Bic Pen also helped move the ink distribution technology forward. With prisms young students were taught words like spectrum and refraction as their worlds got a little more colourful. They learned about primary colours and secondary colours and this got the fashion industry very excited. What was not revealed during this revolutionary time, was the significant gender issues in the understanding of what Walt Disney would proclaim, “The Wonderful World of Colour.” That TV show lasted for 36 years on various networks. My family gathered around the TV to watch this show through our black and white television set in the 1960s. Mom and dad would simply say “Use your imagination!” as our richer friends with colour TVs, would describe the beauty of the episodes the next day. There are three primary colours: Red, Blue and Yellow. There are three secondary colours: Orange, Green and Purple. That is it folks. Those are the only colours males understand. This limited knowledge of the current colour choices is what has led to so many incongruent conversations between men and women in recent decades. Man: I think we should paint the wall blue. Man: I meant wall paper! Men do suffer from a primary form of colour blindness. (Autocorrect correctly changed form to form and from to form here) We basically barely can describe hues of primary and secondary colours. This rigid form of colour blindness explains why every single men you know wear the most unappealing, cringeworthy coloured fashion choices, because they have to dress themselves. An old room mate of mine, lets call him Don, suffered from a form of red green colour blindness. This did not colour my opinion of him, as he was and still is a good guy. He would give you the shirt off his back, he just couldn’t tell you what colour that shirt was. One warning, you never want to get behind him at a stop light when Don is driving a car. Your vehicle’s horn will run out of honk, as he tries to figure out the complicated colour scheme of the continually colour changing signals. Don’t get me started on what amber is. As we prepare for spring, our little world is about to get a little more beautiful as the black and white winter transforms into blossomy, brilliant colours. Beyond the occasional traffic jam, colour blindness can cause other interesting social issues. Whenever a person says “I’m no racist but…” there is usually a very unpleasant ending to that sentence involving colour. This phrase now has a more metaphoric beginning. The minute I hear someone say “I am colour blind because, I don’t see the colour of peoples’ skin but….’ Be suspicious of people bragging about their colour blindness, and hand them a prism. The transition from black and white to colour has been difficult for so many of us..
Be careful with colour my friends. It has been the cause of Civil Wars, Civil Rights as each of us evolve to be just a little more Civil. We each see things in both Black and White, and Colour. The different lobes of our brains struggle with reality and perception. Three Dog Night insisted ‘The world is black, the world is white”, while Chicago tried to “Color my world”. Sorry to end with a bit of a downer (Canadians apologize far too often) but if Canadians and Americans can’t even agree on the spelling of color \ colour, i fear our struggle with colour blindness is going to persist for just a little while longer. Cue the Blong… After reading today’s words, you would correctly conclude that the writer does not know what they are talking about…hard to argue that point. Let’s be honest, there is quite a lot I Just Don’t Understand. Hey Dennis! Love this blog…..did not read it out loud after a few drinks even. How are ya? Hope your trip ended well. Bonnie and Wayne, the trip home was uneventful and we got to bed at 2 in the morning. Hope all is well with you and we will talk soon.